This personal finance guide for veterans will highlight many of the programs that can help former servicemen build a financially stable future upon their arrival home. One of the biggest expenses for any family is housing. Although financial advisers recommend that housing expenses should consume no more than 1/3 of a family’s income, many people, especially those on a limited income, feel that there is no other option than to spend more on their living quarters. And, unfortunately, even homeowners who pay a moderate sum for their housing, can feel squeezed during tough financial times. One popular option that veterans can use to reduce their housing costs is a VA loan, which is available to most current and former servicemen who meet eligibility requirements. 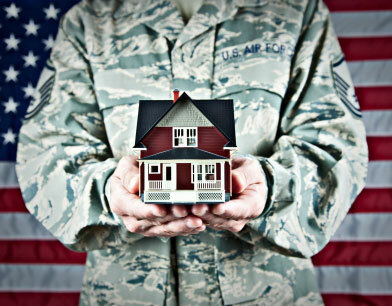 The VA Loan is intended to help veterans looking to purchase a home for their primary residence. For the purpose of the VA Loan, a home includes any single family home and VA-approved townhouses, condos and mobile homes. Houses that are slated to be built or existing homes that need to be renovated are also eligible under some circumstances. 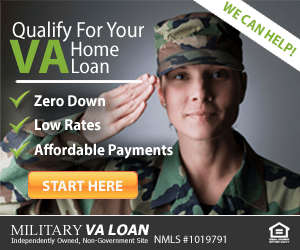 VA home loans don’t require a down payment or PMI. The VA also eliminates some of the closing fees that a home buyer would have to pay on other types of loans. In addition to their obvious advantages, VA loans come with certain restrictions. For starters, applicants for a VA must present a valid Certificate of Eligiblility. The lender can usually obtain this for the veteran with a DD Form 214. 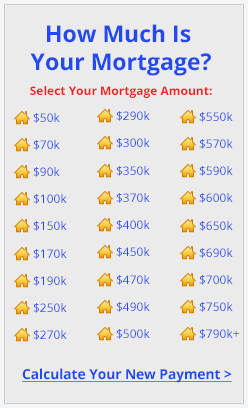 Additionally, the amount guaranteed with a VA loan is limited to a percentage of the total loan amount. Usually the guaranty percentage is 25%. The guaranty amount refers to the amount the VA will pay the lender in the case of default. Veterans health benefits are available to all former servicemen who served for 24 consecutive months or for the full period that they were ordered to serve. Subsidized health benefits are allotted to veterans based upon the priority group that they are assigned during the enrollment process. It should be understood that VA health care is not a health insurance plan. It is, rather, a health care system comprised of approximately 1,400 outpatient clinics and 152 medical centers nationwide according to VA for Vets. Services provided at these centers include standard healthcare as well as psychological counseling and physical therapy, dental care and surgery, among dozens of other offerings. As an added benefit, patients treated at VA facilities will also be assigned a patient advocate whose job is to help resolve issues and to facilitate a smooth healthcare process. The best way that a veteran can plan for his financial future is to consider what form of employment he will seek once he is released from duty. While some veterans have specific skills or an education that can be helpful in the workforce, others require retraining or primary training in order to find a job that pays sufficiently. The Post 9-11 GI Bill is one of the more recent benefit packages designed to help veterans afford the expense of furthering their education. Eligibility for this program is rather straightforward, and requires at least 90 days of total service after September 10, 2001. Individuals also may be eligible after 30 days of service if discharged becuase of a disability that is service related. For more details, see the Post 9/11 GI Bill government page. Other employment and educational benefits may be available. Check the VA Benefits website. In addition to benefits administrated by the Veterans’ Administration, there are lesser-known programs available from state and local governments, as well as the private sector. But you may need to do some web surfing – or ask around – to even learn that they exist. For example: I just learned that the University of Washington offers veterans 50 percent off the cost of their tuition if they live in-state. I had no idea this tuition-waiver existed until a friend told me about it. Veterans interested in going back to school should take a look at their local colleges and universities to see what they offer. You may be surprised (and delighted) by what a little research will uncover. By the way, I recommend taking at least one college course each semester while you’re still in the military. They’re free and, most important, they can help you decide what you want to do when you leave. Use these courses as tools to help you formulate your career plans. I took a criminal justice course that I never used. As it turned out, I didn’t pursue a career in law enforcement or forensics, but I’d take that course again if I had the chance. Your plans and mentality may change after taking certain classes. Mine did. But the time spent on those courses won’t be wasted if they help you decide what you want to do and what you don’t want to do with your life. And you won’t know the answers to those questions unless you take some classes. If you have medical issues related to your military service, don’t hesitate to visit the VA to have them checked out. These injuries may make you eligible for disability insurance payments. As I mentioned in a previous post, I waited a while before having my back problems diagnosed. Don’t make the same mistake. Why leave money that you deserve lying on the table? The application process involves a little red tape – gathering medical records, filling out forms, scheduling appointments – but don’t let that discourage you. Overall, the process isn’t that bad. It just requires a little research, guidance and persistence. The military offers one of the most affordable life insurance policies that you’ll find anywhere. You can buy a policy worth up to $400,000, and pay less in a year for it than you spend in a month for cable TV. When I was in the service, I paid about $150 a year for $200,000 in life insurance, which is incredibly cheap. Best of all, you can keep that insurance after you leave the military. Basically, the only thing that changes is the name of the insurance: Servicemembers’ Group life Insurance (SGLI) becomes Veterans’ Group Life Insurance (VGLI) after you’re discharged. The names may be different, but the benefits are the same. Rick Campos is a veteran after 5 years in the U.S. Navy Special Forces, with a final rank of Petty Officer 2nd Class. Mr. Campos is now a mortgage loan officer at Washington State’s biggest credit union, BECU. He and his wife Natalie have two children. See Rick’s full bio here.